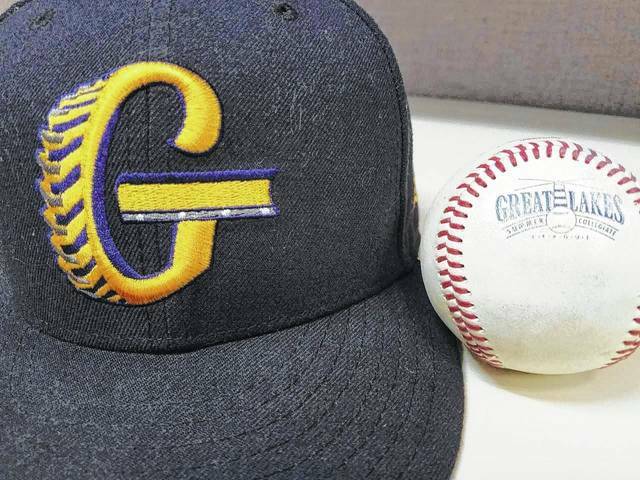 GALION — With only six games remaining in the regular season, the Galion Graders took to Heddleson Field in Heise Park on Tuesday evening against the visiting Southern Ohio Copperheads in a contest holding major playoff implications. Galion entered the contest 1.5 games ahead of the Hamilton Joes for the final playoff spot in the Southern Division while Southern Ohio sits comfortably in the No. 2 spot, just two games back of the division leading Cincinnati Steam. The Joes took care of the reeling Xenia Scouts on Tuesday by a score of 6-4 to cut Galion’s third-place lead to one game and the Steam dropped their contest with the Licking County Settlers by a final of 9-6 to lower their lead over the Copperheads to just 1.5 games. It would be Southern Ohio helping their cause as they defeated Galion by a tally of 6-4 to move within one game of first place and minimize Galion’s lead over Hamilton to just half a game. The Copperheads move to 25-10 overall with the victory while the Graders currently sit at an even .500 at 18-18. Walks issued by the foursome of Galion pitchers would be the deciding factor in the contest as they handed Southern Ohio 16 total free passes on the night. Griffin Parrill made his debut for the Graders on the mound on Tuesday and struggled with his command early. In the first 10 batters that Parrill faced, he issued five walks to just one strike out. In total, Parrill worked five innings, scattering three hits en route to four earned runs, gave up nine total walks and struck out two Copperheads batters looking in the loss. Jacob Williams was next up on the hill for Galion and he finished with two innings of work, surrendering two earned runs on two hits and issued four walks. Bailey Durocher tossed a scoreless eighth inning, walking one and striking out one. Utility player turned pitcher, Christopher Jordan was the pitcher in the ninth for the Graders and walked two in a scoreless outing. At the dish, Southern Ohio went ahead in the top of the first despite not recording a hit; 1-0 while the Galion squad saw just one baserunner in Todd Sekowski via a walk in the home half. In the second, the Copperheads would see more runners reach courtesy of walks and a fielder’s choice but would be unable to convert any runs to send up the Graders. Juan De La Cruz would lead-off the Galion half of the second with a single, followed by a single from Michael Rodriquez and a bunt single from Vince Donato to load the bases. The threat would be silenced a bit as Austin Hathaway grounded into a 4-6-3 double play to erase Donato from the bases but move Rodriquez to third and score De La Cruz. Christopher Jordan would draw a walk and proceeded to steal second to put two runners in scoring position for Galion but the inning would come to a halt as Eric Wentz grounded out to first. Ray Zuberer would record the Copperheads’ first hit in the top of the third, reaching on an one-out double. After Parrill got the always dangerous Blaine Crim to go down on strikes, three straight walks lead to another Southern Ohio run to put them up 2-1 heading into the bottom of the third. Reimold would reach first on an one-out single but would be stranded there as Detering and De La Cruz both went down on strikes to end the inning. In the fourth, Mason Nadeau would lead-off the frame with a double and eventually score on a Zuberer single to put the visitors up by two at 3-1. Galion would cut into that lead in the bottom of the fourth, starting with a lead-off single by Rodriquez, his second of the game. Donato would do the same to put runners at first and second with nobody out. Hathaway would ground into a 6-4 fielder’s choice to once again eliminate Donato from the bases to put runners at the corners with just one down. Jordan smacked a single to plate Rodriquez and advance Hathaway into scoring position at second. Wentz would ground into a 6-4 fielder’s choice as well to wipe Jordan from the bases before Sekowski drove a long flyout to center to end the inning with Galion now trailing 3-2. Both squads would go in order in the fifth and the Copperheads would score again in the top of the sixth despite zero hits to take a 4-2 advantage into the bottom of the frame. Galion would not have an answer and went in order to put themselves down to nine outs and in a two-run hole. Southern Ohio plated two in the seventh thanks to another walk, a pair of wild pitches and two singles to distance themselves further from their hosts at 6-2. Wentz would notch his first hit of the game in that frame, ripping his first home run in a Graders uniform deep and gone over the “Blue Monster” in right field to help Galion inch closer at 6-3. In the eighth, the Copperheads went quietly to send up the home team, down to potentially their final six outs. In a series of messy baseball, the Graders were able to load the bases in the home half but would fail to get a run across to send the game into the ninth with Southern Ohio still ahead; 6-3. The visitors would strand a pair of runners in the top of the inning to send up the desperate Graders. With two outs in the inning, Reimold stepped into the batter’s box and ripped a double deep into the outfield on an 1-2 count. Detering would drive the 1-1 offering deep off of the right field fence but unfortunately for Galion, the ball was played perfectly by Ty Suntken and Detering was gunned down at second trying to stretch the knock into a double, thus ending the game. Reimold’s run did count but the Graders would fall short in the much needed win; 6-4. Offensive stats for Galion in Tuesday’s loss were: Team- 11/36, HR, 2B, 9-1B, 4R, 3RBI, 4BB, 8K and 9LOB; Reimold- 1B, 2B, R; De La Cruz- 2-1B, R; Rodriquez- 2-1B, R; Donato- 2-1B; Wentz- HR, R, RBI; Jordan- 1B, RBI, SB; Detering- 1B, RBI; Hathaway- RBI and Sekowski- SB. The Graders and Copperheads will clash again on Wednesday evening at 7:05 p.m. at Heddleson Field. On Thursday and Friday, Galion will be on the road at the Hamilton Joes for two, must-win games before finishing off the season with a pair of contests against the Lake Erie Monarchs of the Northern Division on Saturday and Sunday.